As it has been stated in previous blogs Beyer Carpet Cleaning wants to offer the city of San Antonio the best in carpet cleaning. They will do all they can to make sure your carpets look good and that you are well informed of anything that could happen. Believe it or not many have their pets living inside their home. This raises concerns and issues with carpet cleaning. Here is what you need to know about pets and carpet cleaning San Antonio. Most professional carpet cleaners in San Antonio offer pet treatment as an additional service. This means that it is not regularly included in your carpet cleaning and you will need to ask about having your carpets treated for pet stains and smells. 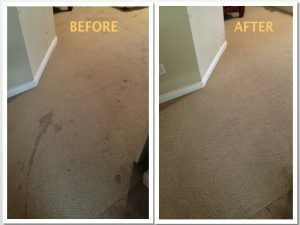 Most carpet cleaners have their basic cleaning solution that will take care of common stains but aren’t designed to take care of harsh stains such as pet soiling. Pet treatments are additional because it wouldn’t make sense for a carpet cleaning business to spend money on so much solution that not every house will need. Some homes don’t really need any solution at all because the carpets are taken care of very well by the owner. Sometimes they can get away with just a hot steam cleaning and no solution. However, if you have pets that are in your home a lot you should always get a full service carpet cleaning that includes the standard cleaning solution and always look into having your carpets treated with a pet solution. Pet treatments are specifically deigned to help break up the harshness in pet urine so it can be extracted from the carpet. Beyer Carpet Cleaning includes a concentrated enzyme and oxidizer solution as well as an odorcide solution for strong or harsh smells. With this solution they can remove 80-90% of stains and smells depending on the severity. 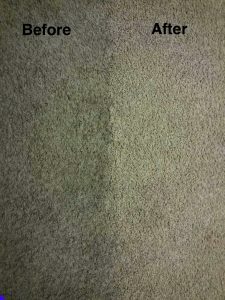 If you have let stains set in your carpet for a long time with out any type of cleaning chances are they may be permanently set in your carpet. If you used any type of over the counter sprays this may also set stains in. If your pet soils your carpet it is best to wet the area with hot water and blot until it is almost dry then when you are ready to finally have your carpets cleaned they will be able to get out the rest. They will sanitize the carpet and remove anything that was left in the carpet. If you have pets in your home and are in need of a good carpet cleaning call Beyer Carpet Cleaning and ask for the pet treatment. With Beyer Carpet Cleaning to have all areas of your home to include a pet treatment it is only $99 on top of an already great deal for carpet cleaning that they will give you. Most companies will charge this or more depending on the number of rooms you have. 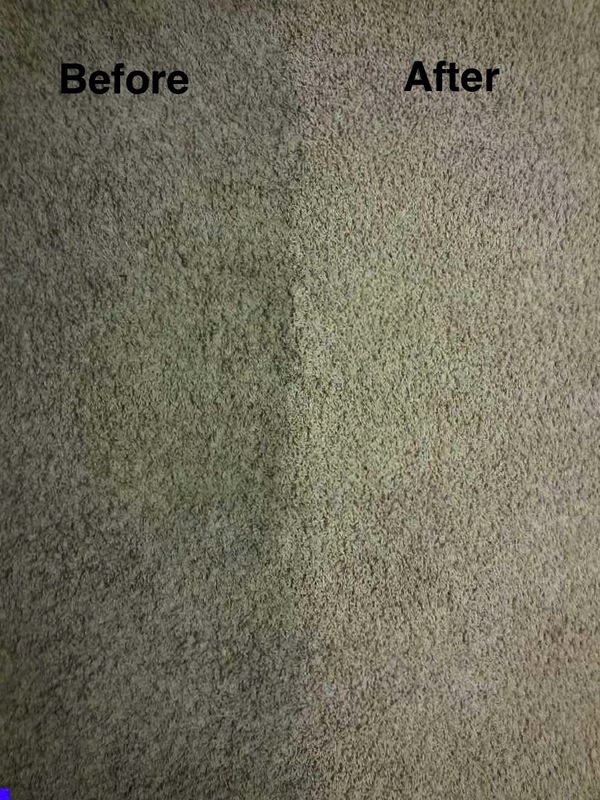 With Beyer Carpet Cleaning are more than getting your monies worth by using them for all your cleaning services.